Creative architectural solution can help one create a dream home regardless of the type. 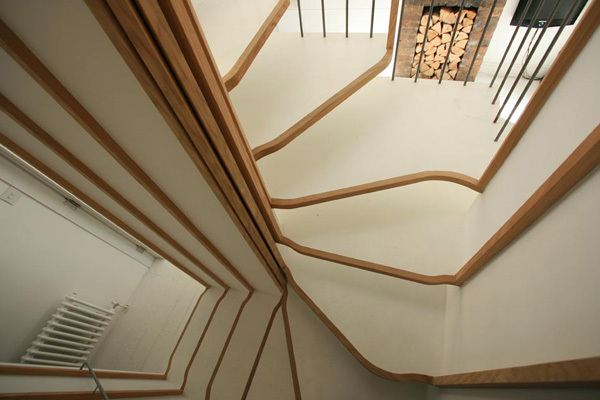 Architecture solves various design problems in houses and apartments alike. 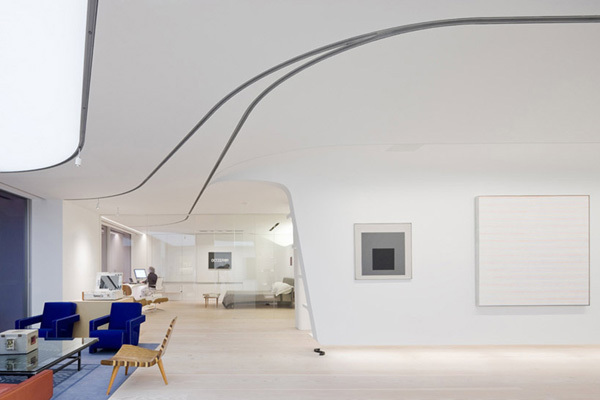 The following designs tackle such problems as lack of space and incorporating an art gallery into the living space. 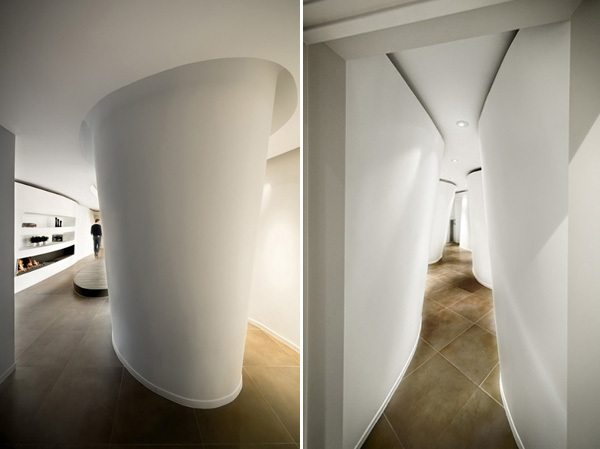 Folded Apartment by G&R Studio is one example of an amazing architecture. 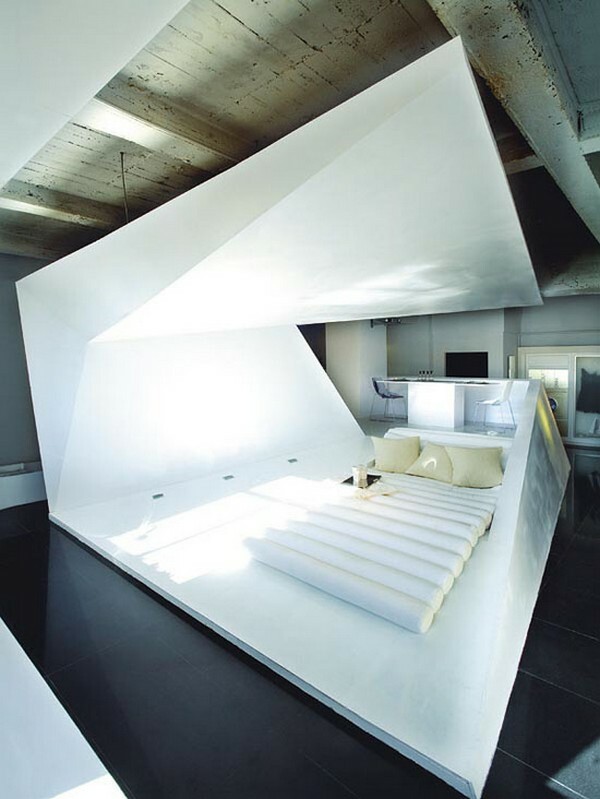 A folded structure within a room creates different zones and areas separating the bedroom that sits atop the structure from the living area that is located within the structure. 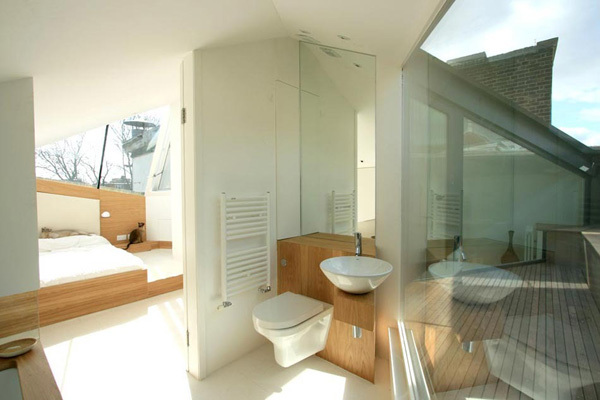 This folded structure partly hides an open kitchen revealing a kitchen bar and a bathroom that is tucked away and slightly submerged. 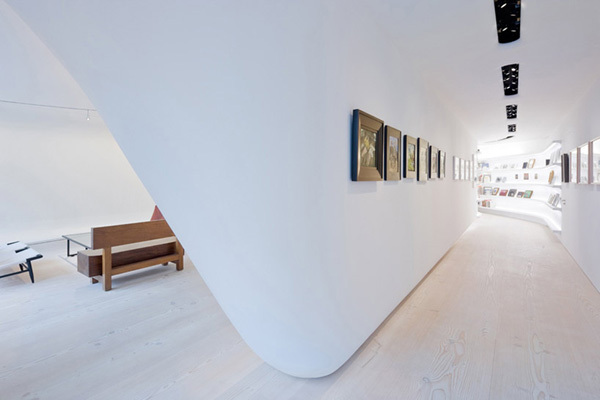 A Collector’s Loft designed by UNstudio includes an art gallery beside the living space. 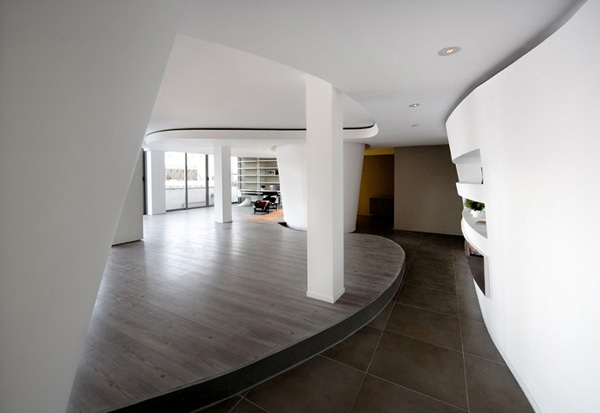 A spacious loft was divided into various zones with introduction of a curved wall with an interior space that is used as library. 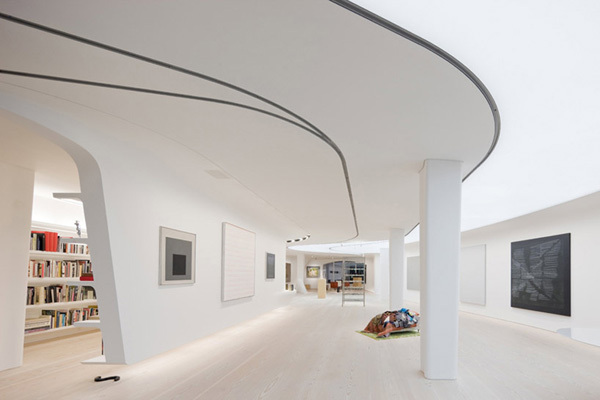 Designed in all-white color scheme the Collector’s Loft puts a focus on the art with white LED lighting. 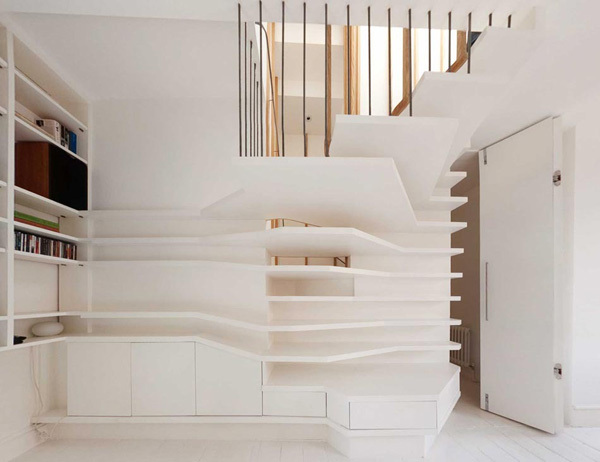 The Woven Nest is a project by Alex Haw of Atmos Studio which introduces a woven staircase into the apartment creating a detailed visual and surfaces for pets or potential storage. Beside the staircase the apartment architecture makes for interesting room designs with assymetrical lines and skylight shapes. 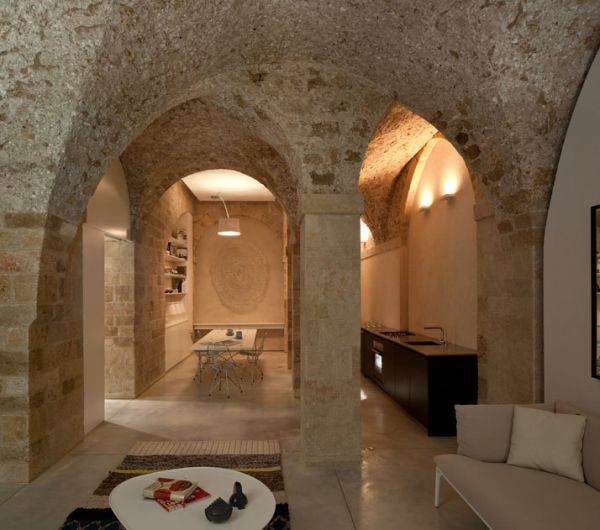 Jaffa Apartment in Tel Aviv was reconstructed and redesigned by Pitsou Kedem Architect into a minimalist home with original architecture kept intact. 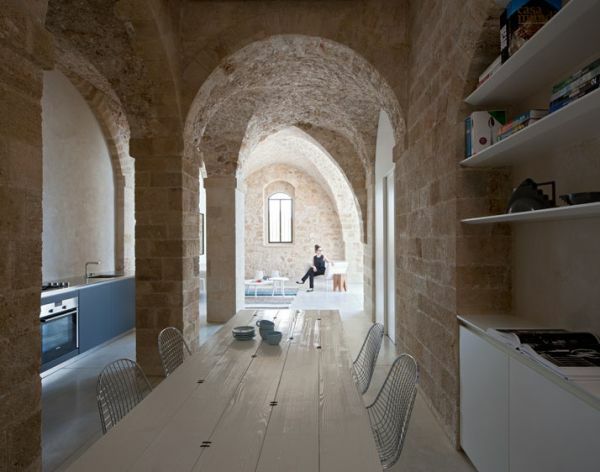 The apartment architecture features arched ceilings supported by square columns and exposed stone walls. 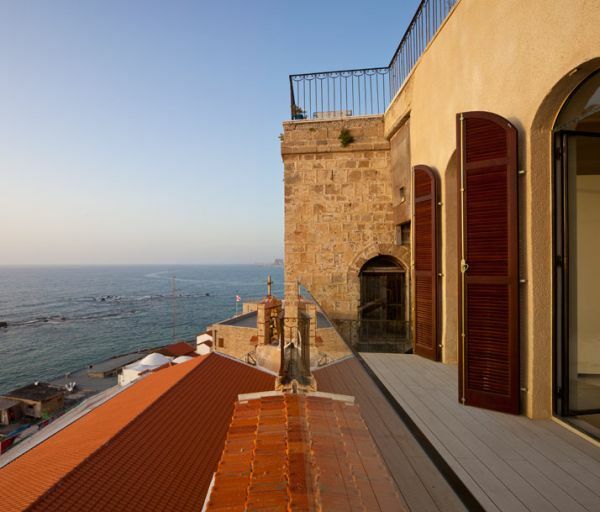 Serrano Penthouse features wave-like walls that create intimate spaces in a spacious apartment. The living space with a fireplace has an elevated wooden floor and ceiling covered with wave-like layers.